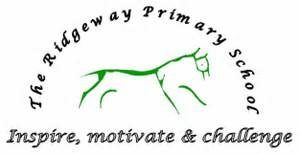 In September last year I became the Chair of Governors at Ridgeway and wanted to take this opportunity to introduce myself and my background. My background and experience have both long been in education. I have been a teaching assistant in the past, and have been a teacher at a secondary school for ten years now. Further to this I am a local Councillor for Church Ward and sit on the ACE committee (which includes the education work of the Council) as Vice-Chair. In the last year I have visited and spoken to the Head teachers of our two most local secondary schools, John Madejski Academy and Reading Girls School in an attempt to aid improvement, and help bridge the transition gap. I will have been a Governor at Ridgeway for 5 years this summer, and it has been a greatly rewarding experience. I have been on various committees to help oversee standards, and I have had particular responsibility for Pupil Premium monitoring. During my time as a Governor we have helped oversee the impressive expansion of the school and its buildings, curriculum overhaul and the appointment of our new head Ms Steele. I have visited the school on many occasions to see the pupils and staff in action, and have always left impressed and full of pride. There are obviously always challenges and areas for improvement and I am working with the Head teacher to help implement the post- Ofsted action plan for school improvement. Budgets need to be fit for any future changes and, looking forward, pupil numbers and development in South Reading are ever-changing and contribute to the challenge we face. I am always looking to hear parent’s views and opinions on the school and its future, so if you ever wish to contact me, please email or call on the contact details below. This entry was posted in Ward School News on January 10, 2018 by Ashley Pearce.